One of the major revolutions of the past century in the field of medical sciences has been the evolution from “disease centred medicine” to “patient centred medicine”. Beyond statistical data and research evidence, there are multiple variables that influence the result and condition the eligibility of a patient for a technique or another: tissue characteristics, comorbidity, expectative, desirables or even the familiarity of the surgeon with the technique. Indeed, well understood EBM reclaims the articulation of the best available evidence with clinical expertise and patient values. The prime objective of this article is to introduce the PSM as an instrument of communication with the patient that allows, thanks to technology to build personalized intraoperative instruments that aids the surgeon to deal with patient variability. One of the biggest revolutions of the last century in the medical field has been the evolution from “disease centered medicine” to “patient centered medicine”. [3/5] Beyond statistical data and research evidence, there are multiple variables that influence the result and condition the eligibility of a patient for a technique or another: tissue characteristics, comorbidity, expectative, desirables or even the familiarity of the surgeon with the technique [1-3]. Indeed, well understood EBM reclaims the articulation of the best available evidence with clinical expertise and patient values . The aim of this article is to introduce the PSM as an instrument of communication with the patient that allows, thanks to technology to build personalized intraoperative instruments that aids the surgeon to deal with patient variability. The introduction of our workflow in plastic surgery, for conducting the dorsal hump reduction in rhinoplasty using a 3D printing guide, gives to personalized medicine a real application that adjust to results, brings security and predictability, maximize velocity and minimize technical risks, especially in novel hands; moreover, it allows us to transfer the preoperative planning conducted on the Patient specific model (PSM). Reduction of convexity of nasal profile is the most common request of Rhinoplasty patients; also it is one of the most sophisticated, dangerous, and difficult to learn techniques in plastic surgery field [5,6]. Its technical complexity is justified because the high risk of lateral and vertical deviation while conducting a resection that starts in cartilaginous tissue from the nasal septum and finalize in osseous tissue from the nasal bones and sometimes including the ethmoidal perpendicular plate. The point with the highest risk of deviation is the rhinion (osseocartilaginous junction) . We have used the surgical guide for the removal of the nasal dorsum in 10 patients, whom we have worked with in the virtual preoperative planning of the surgery conducted on the PSM using 3D CT images, nasal anthropometries and resection objectives. Preoperative CT scan (Digital Patient Model). 4. Risk-benefit balance of being too aggressive or too conservative. 5. Surgical preoperative planning of the rhinoplasty using a radiological viewer (Figure 1). Figure 1: Surgical preoperative planning of the rhinoplasty using a radiological viewer. 10. Adapt the guide attachment part to the nasal bone surface of our patient using CAD software. 11. Print the guide using 3D rapid prototyping and sterilize it. Perform the surgery, using the surgical guide under direct vision of an endoscope to ensure proper colocation and good behavior during use (Figure 2). Figure 2: Direct vision of an endoscope. The big difficulty in performing the first fracture lies, first of all, like any other cosmetic surgery intervention, in objectifying and quantifying obviously subjective aspects, therefore deciding how much hump to remove. To this difficulty, it is added that there are not the tissues themselves the ones that will have to be remodeled, but the inferior structures that support musculocutaneous tissues. Hence, the previous planning on the PSM is in itself a tool of great help and essential since it allows first to see and second, to measure these structures and on them, to calculate with extreme precision the line of fracture and from it, the rest of the surgical steps that will be performed in function of the said fracture. Let us not forget that the nasal pyramid is a three-dimensional structure that, except in rare occasions, must be modified in all the three dimensions, based on its height, its length and its width. The second real difficulty is to transfer this planning to the surgical field, deciding or quantifying where to start, not to deviate at the intersection of own bones and to hit at the end of said fracture. Thanks to the surgical guide we can transfer the preoperative planning to the surgical field, making the procedure quicker and, more important, performing only one step osteotomy instead of the usual multistep. Communication with the patient and joint planning has been the most important aspects to highlight in our work. Thanks to that, the patient understanding of the procedure was significant better after showing the 3D model of the surgery. For all fourteen patients have been very instructive to understand their own anatomy, the process to be performed and to be able to share the lasts decisions with the surgeon. For our part, making the exact planning with the patient, has facilitated communication and has helped us to guarantee the autonomy bioethical principle (Table 1). Table 1: Patient survey chart. The use of the guide was technically easier, than the conventional method and reduces the learning curve from years to minutes (once the guide is printed, because exhaustive formation is still needed to plan the surgery). Technology is bringing us a drastic change in our surgical procedures and planning. It allows us to transform highly standardized technical procedures, in personalized ones, not only technically, but in very specific objectives shared and decided together with the patient. This increasing trend in personalization of medical and surgical demands, show the importance of walking in that direction. Greater understanding on the part of the patient, greater understanding of the patient's request by the surgeon, enhanced safety and surgical speed and finally optimization of the results, are aspects that make that the application of 3D printing guide in extirpation of the nasal dorsum is becoming essential for said procedures. Moreover, we want to highlight again that the surgical guide, allows transferring with extreme simplicity the pre-surgical planning to the surgical field. Chung KC, Swanson JA, Schmitz D, Sullivan D, Rohrich RJ (2009) Introducing evidence-based medicine to plastic and reconstructive surgery. Plast Reconstr Surg 123: 1385-1389. Armstrong T, Yu D, Frischknecht A, Minter R, Andreatta P, et al. (2012) Standardization of surgical procedures for identifying best practices and training. Work 41 Suppl 1: 4673-9. Moscatiello F, Herrero Jover J, González Ballester MA, Carreño Hernández E, Piombino P, et al. (2010) Preoperative digital three-dimensional planning for rhinoplasty. Aesthetic Plast Surg 34: 232-8. Sackett DL, Straus SE, Richardson WS, Glasziou P, Haynes RB (2000) Evidence-Based Medicine: How to Practice and Teach EBM. Philadelphia: Elsevier Churchhill Livingstone. Berliner L, Lemke HU (2015) An information technology framework for predictive, preventive and personalized medicine. Advances in Predictive, Preventive and Personalised Medicine. Springer International Publishing, Switzerland. Tasman AJ (2007) Rhinoplasty: Indications and techniques. GMS Curr Top Otorhinolaryngol Head Neck Surg. Hontanilla B, Cabello A, Olivas J (2016) A predictable approach for osteotomy in Rhinoplasty: A new concept of open external osteotomy. Plast Reconstr Surg Glob Open 4: e764. de Vez HA, Jover HH, Vergara JS, Claudio (2018) Personalized 3D printed surgical tool for guiding the chisel during dorsal hump reduction in Rhinoplasty. 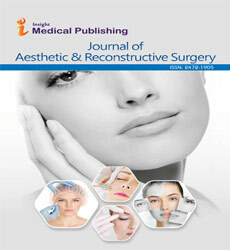 Plastic and Reconstructive Surgery – Global Open.